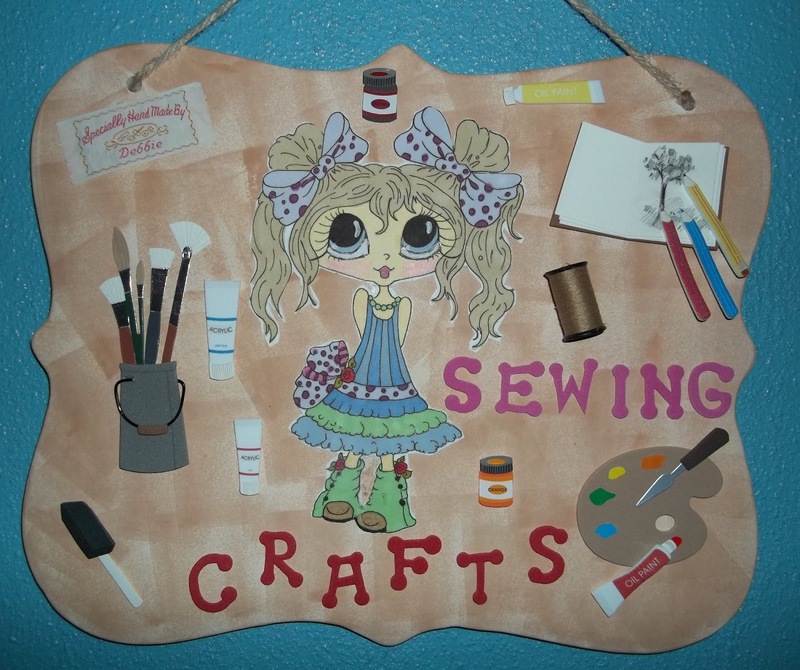 Made this hanging wall plaque for the door to my sewing & craft room. It was a white porcelain plaque that I sponged with Distress Ink - color Tea Dye. and then colored her in with Promarkers. 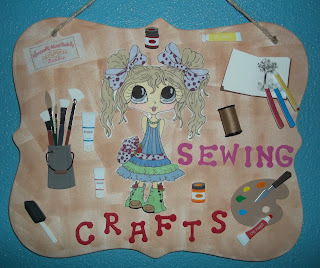 Then I added some crafting puffed stickers and one of my sewing labels and a little spool of tread....and the lettering. What a darling little plaque. Love this idea. Love this idea! This is very cute! That is a lovely creation Deb :) TFS your awesome idea. And thank you also for visiting my blog. That is a lovely Debr! Thanks for joining the Besties Challenge. I noticed you like BSF. I to like BSF. This is my 7th year in the studies. I write a spiritual blog and most of it is on what I learn each week. I invite you to follow it.